Image Attribute: Iraqi pilots demonstrate the Iraqi Air Force's newly delivered F-16 fighter jets, April 6, 2019. / Source: Screengrab from the video released by Iraqi Security Media Center. 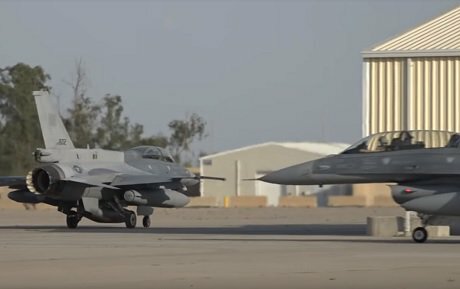 On April 6, 2019, the Iraqi Air Force (IqAF) added an additional six Lockheed Martin F-16IQ Block 52 Fighting Falcon to its inventory. The delivery is the part of a US$ 2.3 billion contract that Iraq signed with the US in 2011 to purchase 36 F-16 fighters. Image Attribute: Newly delivered F-16 Fighting Falcon jets taxi along a runway at Balad Air Base, Iraq, April 7, 2019. / Source: Screengrab from the video released by Iraqi Security Media Center. Iraq already has 21 F-16s, comprising 18 single-seat F-16C configuration and three twin-seat F-16D configurations. Brigadier Yahya Rasool, the spokesman for the Iraqi Security Media Center tweeted - the latest delivery brings Iraq’s F-16 Fighting Falcon fleet to 27. 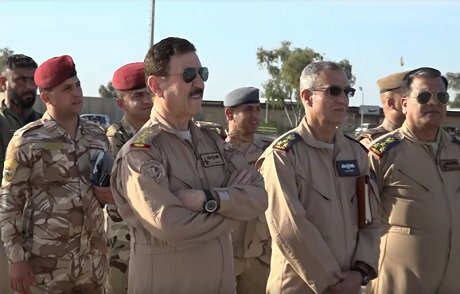 Image Attribute: Iraqi Air Force's commander Lieutenant General Hama Amin inspects the newly delivered jets at Balad Air Base, Iraq, April 7, 2019. / Source: Screengrab from the video released by Iraqi Security Media Center. The 6 aircraft were received during a ceremony held at the Balad Air Base, 64 km north of Baghdad. During Saddam's era, the base was known as Al-Bakr Air Base and during the American occupation, it was known as Joint Base Balad. It was attended by the commander of the IqAF Lieutenant General Hama Amin and his team. 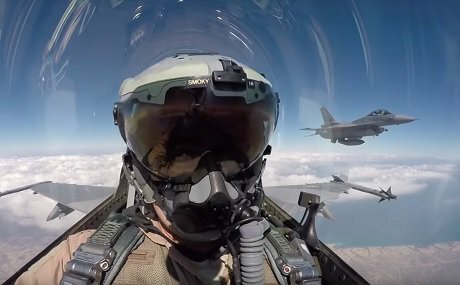 Till date, two F-16IQs had been lost during routine training exercises. On June 24, 2015, Brigadier General Rashid Mohammed Sadiq Hasan, died when his F-16IQ crashed in the mountainous terrain east of Douglas Municipal Airport in Tuscon, Arizona. On September 6, 2017, Captain Noor Faleh Rassan Al-Khazali, an Iraqi student pilot, died when his F-16IQ crashed in the desert terrain about 80 miles (129 kilometers) northwest of Tucson, Arizona.